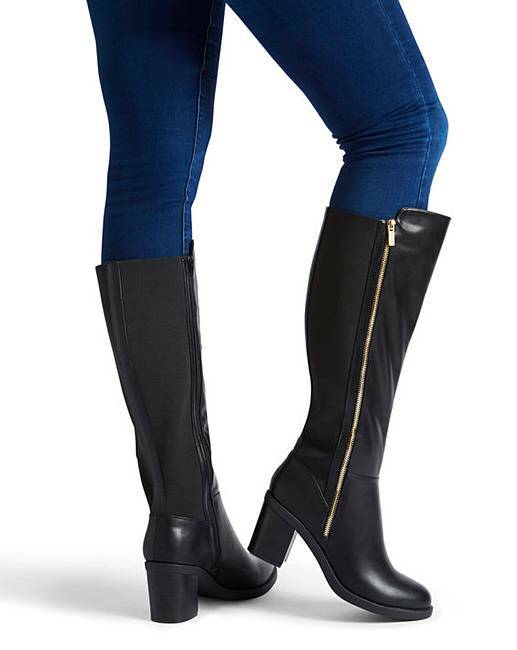 Tokyo Boots Wide Fit Super Curvy Calf is rated 4.4 out of 5 by 30. 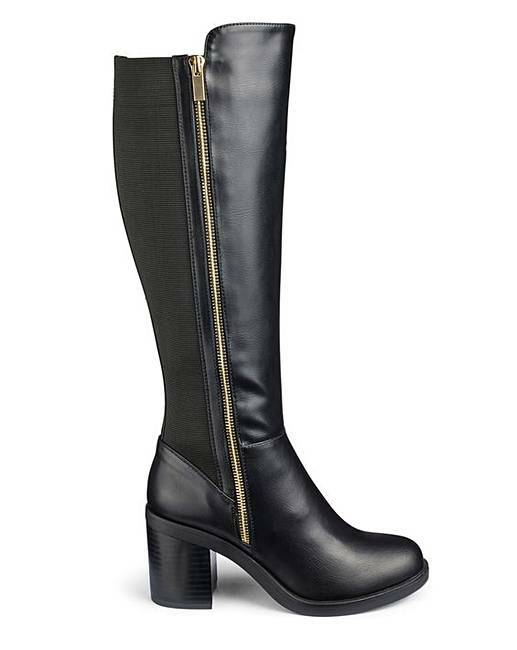 The easy to wear Tokyo boot features an on-trend block heel and special elasticated stretch fabric for the perfect fit. 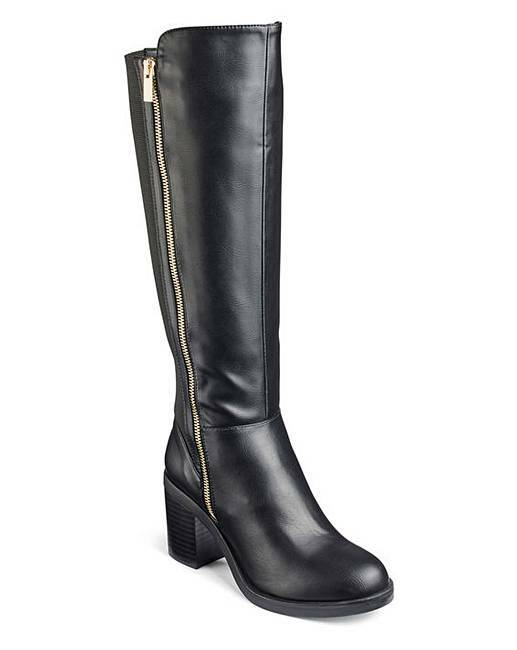 These are the ultimate casual stretch back high-leg boots of the season. 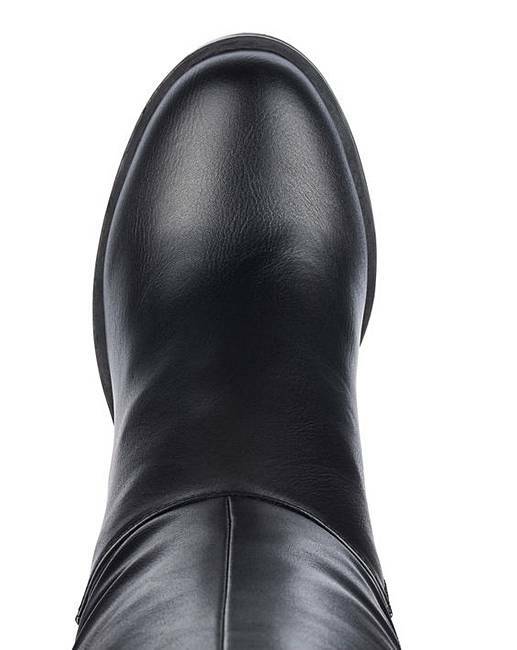 Rated 5 out of 5 by Susie from Lovely, comfy boots! So, so comfy, lovely looking and smart. Great to have such a great selection of boots in a variety of width fittings. Rated 4 out of 5 by Xtina from Looks great but very large calf These look stunning and great material. Unfortunately for me the calf was way too big. I thought I'd need this size as my calf's don't fit standard sizing in boots ..so unfortunately I've had to send these back but Ive ordered the standard calf on this so hoping they'll suit me better. Rated 5 out of 5 by Sharon from Love love love! 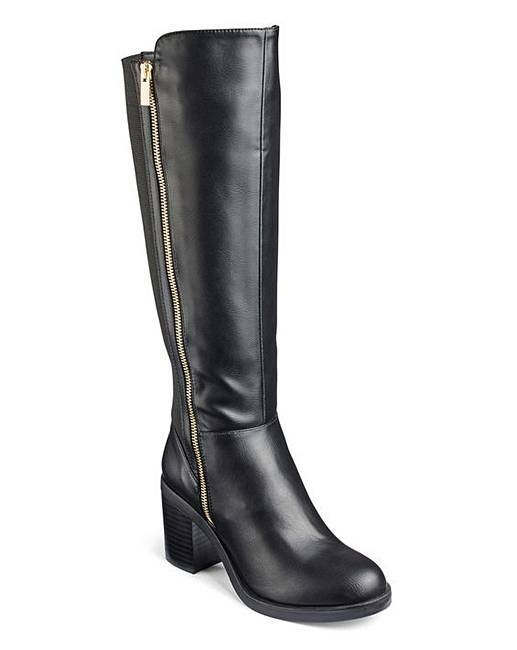 I have awfully short and fat calves and it is a constant misery to see women walking around in gorgeous boots. No longer! These are so amazing! Elegant and comfortable, and the heel is perfect. High enough to be elegant but I can walk around in these all day! Rated 5 out of 5 by Hopper from Great going out boots! Bought these as they were on offer and as I have two pairs of other styles recently purchased knew they would fit my calves perfectly. Great looking, comfortable and lovely block heel gives height but stability too. Many comments from friends, just wish they had more colours !